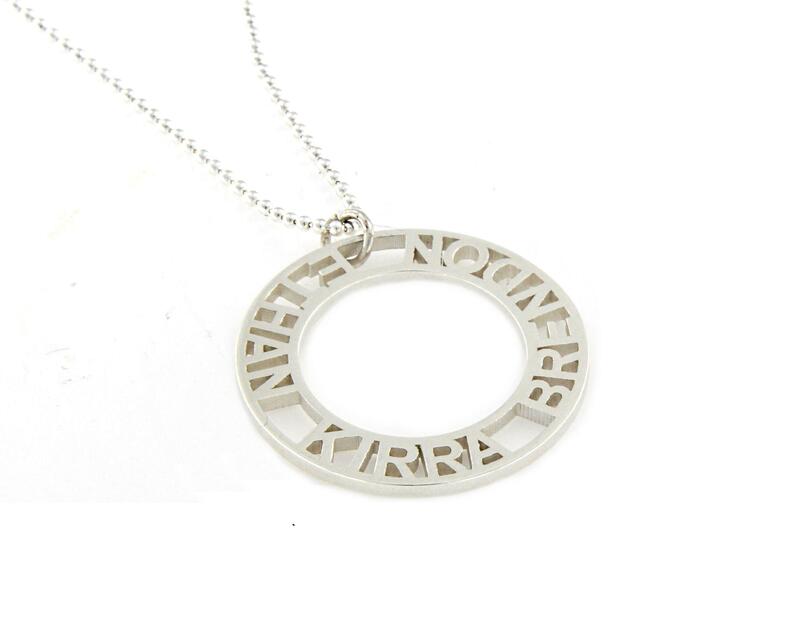 Unique designed stencil circle pendant. Names and or dates custom made for you. This items comes with a 65cms fine ball chain. You can upgrade to a larger ball chain. Dimensions: 33mm across and 2mm thick. Engraving and font: exactly what you see in the picture. the more letters you have the narrower the letters become. 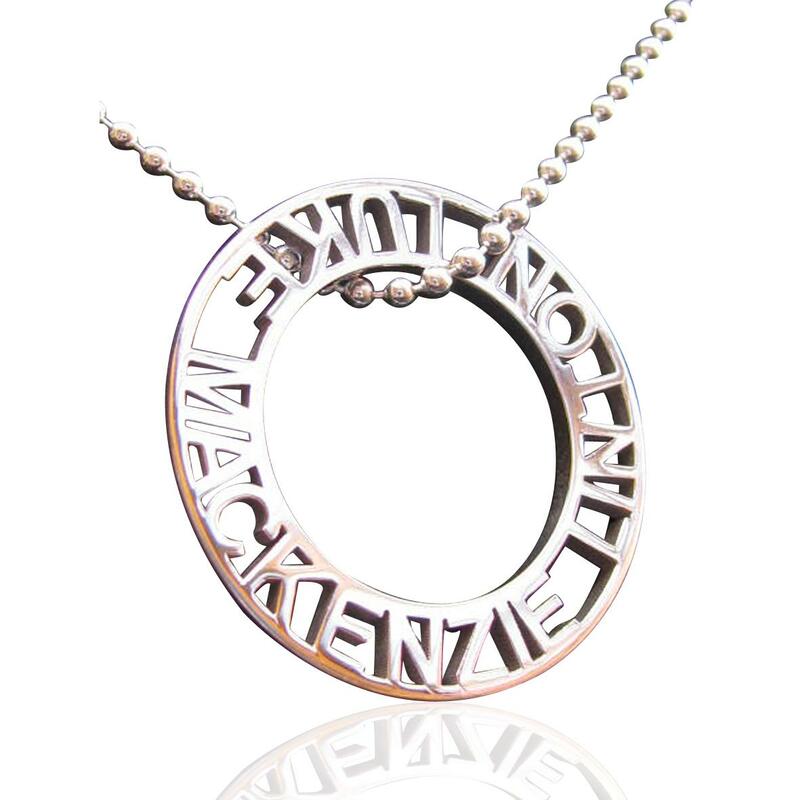 approx 30 letters is the maximum for this pendant. Please contact us if you need help on this.